Shot on location in Montana and Nevada, this is an intimate portrait of a cowboy legend. Will James was a self-made legend, an artist, author, cowboy, and stuntman. He was actually born Ernest Dufault in Quebec, Canada, but while still a teenager, he created the persona of Will James and lived the life he had dreamed of. 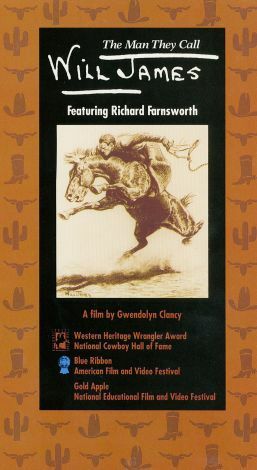 A natural artist, he produced over 20 illustrated books of the West, many of which were made into movies. The Man They Call Will James is fittingly narrated by Richard Farnsworth and beautifully chronicles the life of someone who helped shape our perception of "the West."